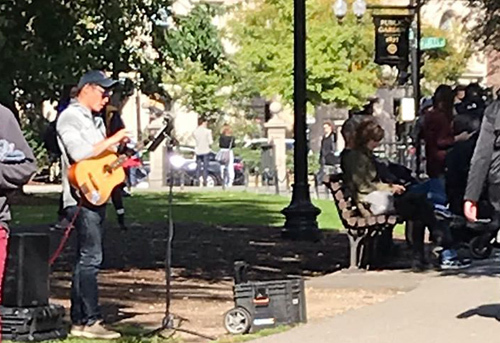 Regardless of his or her name, the white squirrel of the Public Garden is back: Read more. 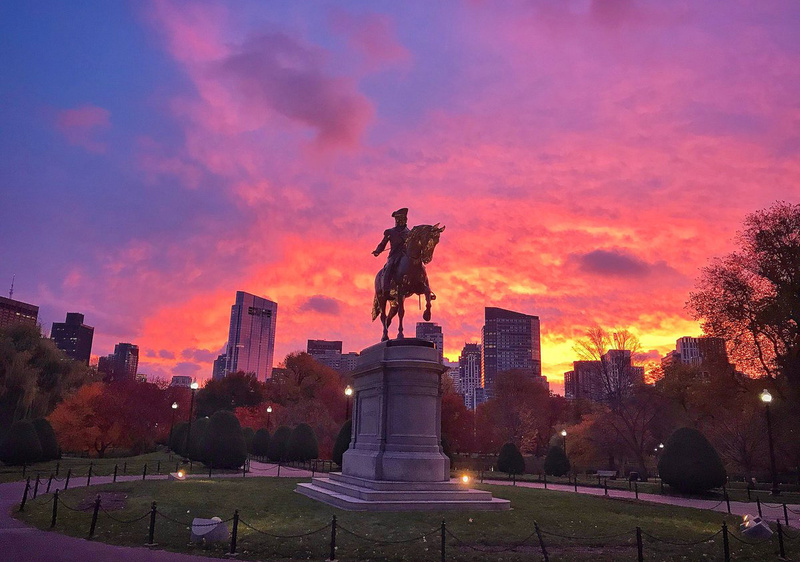 Rick Macomber up and about in the Public Garden at sunrise this morning. 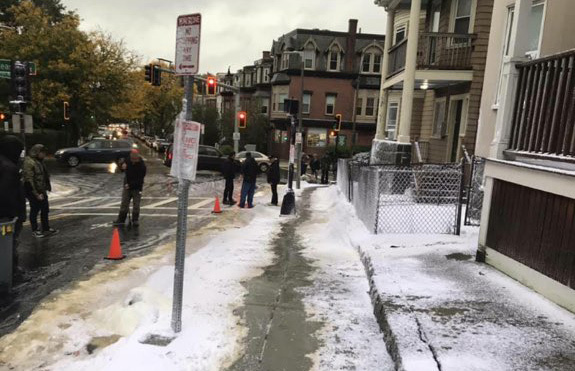 Christine Sullivan had a ringside seat for the sunrise over Boston Harbor: Read more. 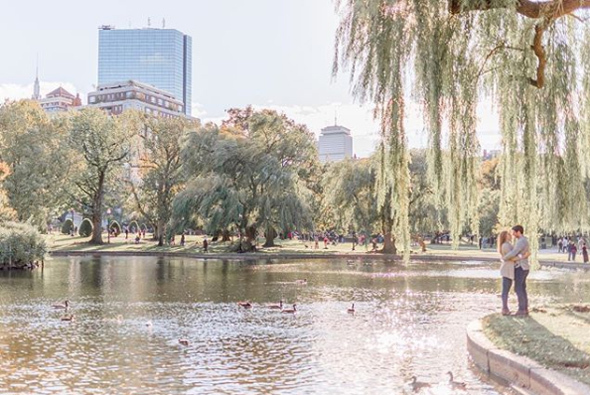 If you were in the Boston Public Garden having your engagement photos taken on October 21 - contact me if you would like this to add to your collection as well! 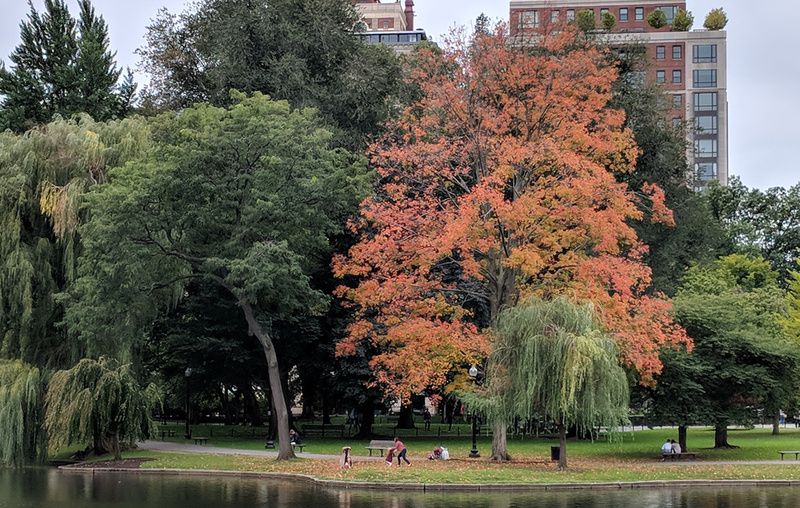 A concerned citizen gives 311 an earful about the situation in the Public Garden: Read more. The view across the Public Garden lagoon towards Arlington Street this afternoon. 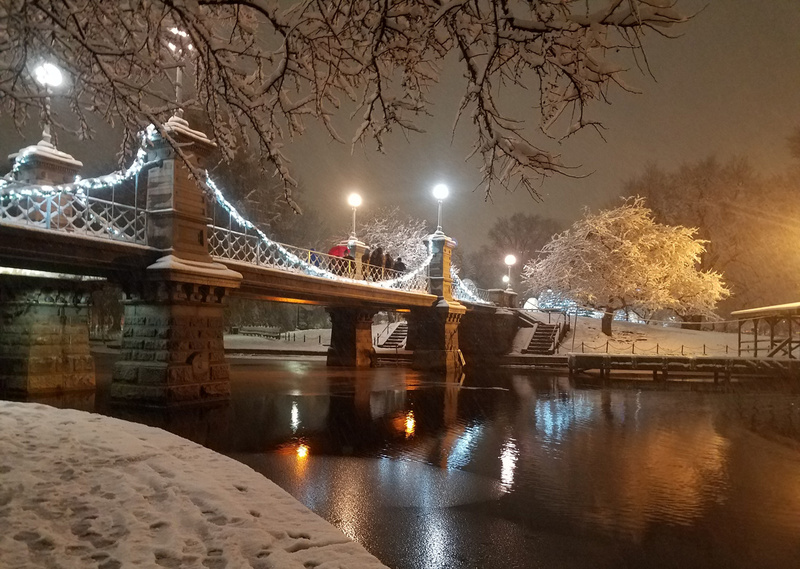 Rick Macomber went for a walk through the Public Garden this morning. 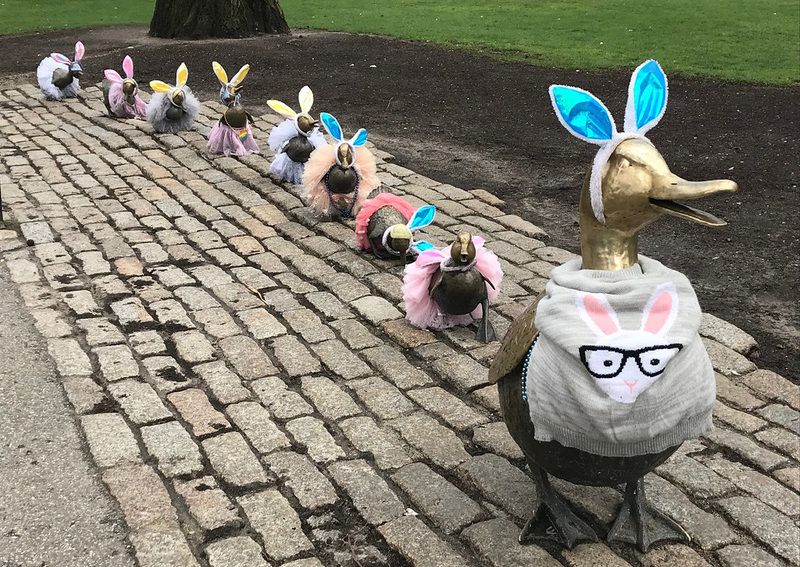 Roving UHub photographer Evangelos Efstathiou took in the annual Make Way for Ducklings parade around the Common and the Public Garden today. 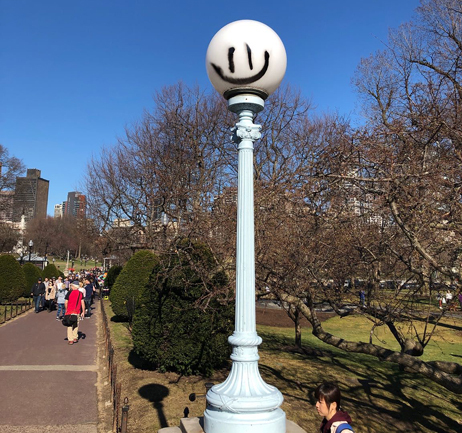 The Friends of the Public Garden put an empty picture frame on a swiveling stick to let people "frame" photos of the Public Garden. Jonathan Berk compared a photo he took today with one he took a month ago. Look what Charley A spotted in the Public Garden this morning. Damaskin went for a walk through the Public Garden early this morning. 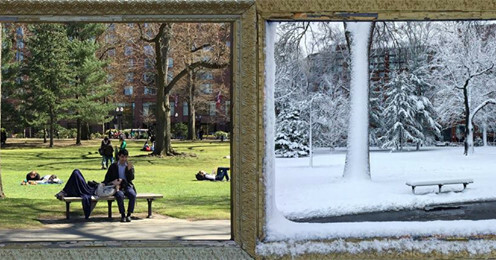 At least in the Public Garden, it's a little easier to frame a photo thanks to the frame put up by the Friends of the Public Garden. 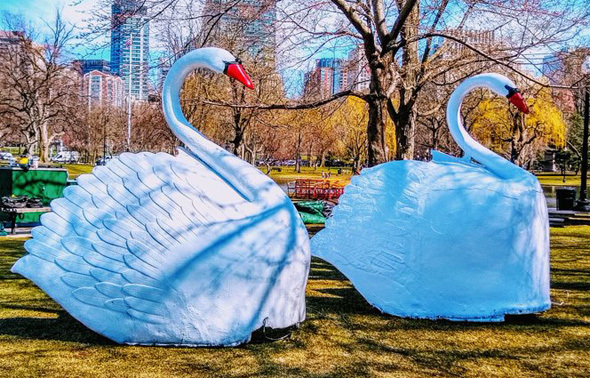 The Globe reports tourists are starting to talk about the fur-covered butterballs in the Public Garden and on the Common. 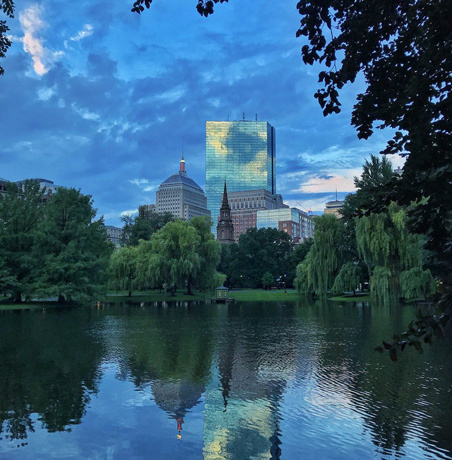 Kr McRae took a stroll through the Public Garden last night. The Friends of the Public Garden snapped sculptor Nancy Schon sitting on Mrs. Mallard on the 30th anniversary of the installation of her Ducklings statues in the Public Garden this past weekend.